Pupils visiting the museum find themselves immersed in the daily life of the Pearson family and their friends and neighbours. 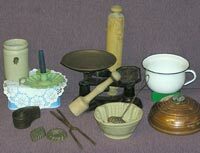 Children cook dinner, wash and do housework, find out about spinning and weaving and try their hands at suitable crafts. This is a memorable day of drama and historic experience. 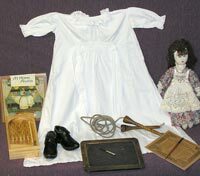 Children are encouraged to come dressed in costume and the museum does have some costumes available for hire. Suitable for Key Stage 1 and 2. Pupils will have opportunity to handle some of the museum’s fascinating First World War collections and hear the wartime stories and experiences of local people, including the role that the textile workers and mills played in the war effort. In groups, pupils will then have chance to take part in four hands-on activities themed on the Home Front, uniforms and kits, everyday life in the trenches for soldiers and how children also contributed to the war effort. The session ends with discussing why we have a Remembrance day and why it is important to learn about events like the First World War. Suitable for Key Stage 1 and 2. The pupils will gather together in the Golcar Socialist Club of 1918 for a public meeting about Women’s Suffrage. Through role play, pupils will discover the role of Colne Valley Suffragettes in the campaign for the right to vote, including the fascinating story of textile worker and ‘Baby Suffragette’ Dora Thewlis. There is also opportunity to explore the museum’s collections and archives. In groups, pupils will then find out about the WSPU (Women’s Social and Political Union) and their campaigning before creating their own suffrage protest and then discover how the contribution of women to the war effort contributed to the 1918 Representation of the People Act. Suitable for Key Stage 1 and 2. Local History Explorers! The museum staff have discovered a Victorian time capsule from 1861 and need the help of the pupils to find out about the objects and research who they might have belonged to. Suitable for Key Stage 2. Weaving STEAM! 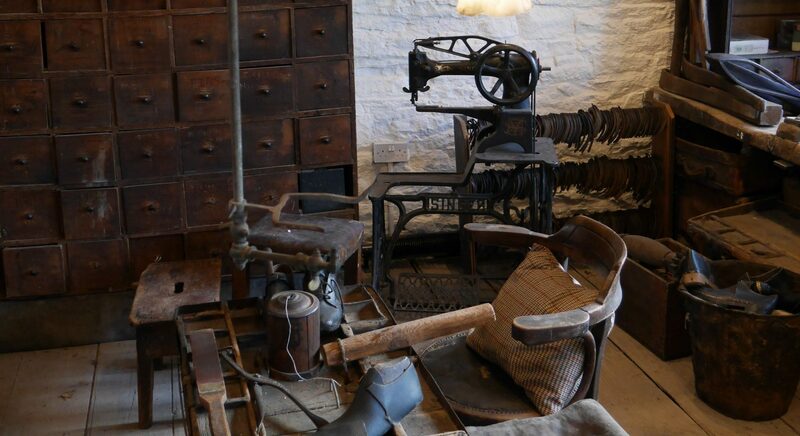 – a day of exploring the Science, Technology, Engineering, Art and Maths of Victorian weavers’ cottages. Explore the importance of the textile industry in the Colne Valley area via hands on activities and investigations. Suitable for Key Stage 1 and Key Stage 2. Since we are a charitable trust, we rely on donations and voluntary work to survive. For this reason, we make a charge to cover the cost of maintenance and staffing during your visit. A full day at the museum, for a maximum of 35 pupils, (teachers and helpers free) costs £170. These meetings will be held in the Museum at a time to suit visiting teachers and their staff. It is essential that the class teacher comes to a Preparatory Visit–some things may have changed since you were last here! Bring as many of your helpers as you can. The Teachers’ Pack contains over 80 pages of information, resource material including copies of original documents, diaries and photographs, and many activity sheets for use in the classroom. Bring the Victorians to your classroom and borrow one of our Victorian Treasure Chests – crammed with original Victorian artefacts (wherever possible) for pupils to handle and enjoy. These boxes are available to hire for three weeks and could be use to prepare for a visit or enhance a visit afterwards. With a minimum of 15 items, plus photos, posters, documents, an information booklet and activity ideas in each box, you’ll find our Victorian Treasure Chests an excellent teaching resource for all Key Stages. Colne Valley Museum is a charitable trust, and we rely on donations and voluntary staff to survive. For this reason we charge a small fee of £20 per box plus a £40 returnable deposit. We also offer outreach visits to schools. 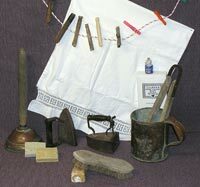 We can bring a range of domestic items and talk about how people lived in the 19th century, or we can bring carding combs, drop spindles, spinning wheels etc. and teach your children how to card wool before spinning it into yarn. Visits can be tailored to your requirements. Experience the atmosphere of a handloom weaver’s cottage and working life in the Colne Valley in the 1850’s. Group visits of discovery (including stories and interactive demonstrations) are available all year round for all ages – special needs or special interest groups can be catered for. We can also come and talk to your group about the Museum, with or without slides, and demonstrate long forgotten textile skills – and teach your group if they wish!